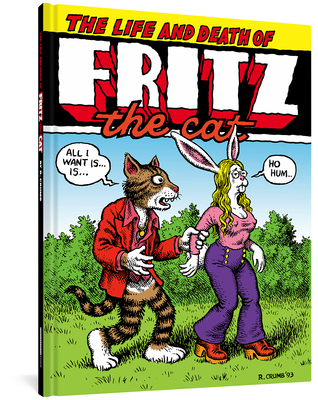 Robert Crumb's first great character -- in fact, his second-best-known character next to Mr. Natural -- was Fritz the Cat, the horny, hip-talking feline whose success caused Crumb to kill him off. The Life and Death of Fritz the Cat, back in print as an inexpensive hardcover as a companion to The Book of Mr. Natural, contains all the Fritz stories from the earliest sketchbook-drawn tales ("Hey, Ol' Cat " and "Fritz Comes On Strong") to the wild adventure stories ("Special Agent for the C.I.A.") to the classic "peak" Fritz stories ("Fritz the No-Good") all the way to the despairing "Fritz the Cat, Superstar" with its infamous ice-pick ending.